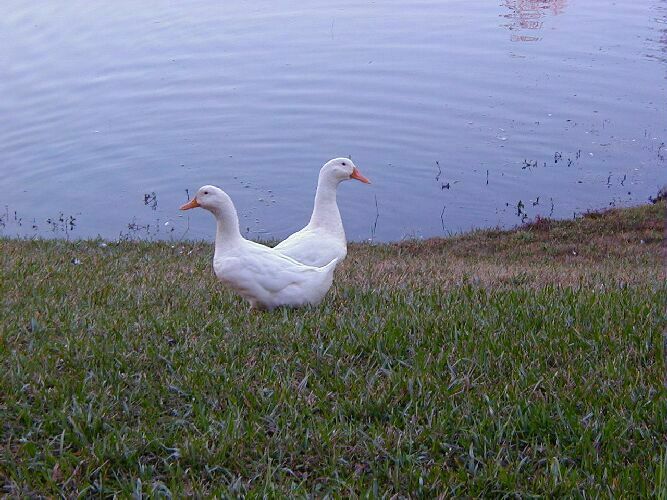 "Waddles & Lucy"...two sweet white ducks that live in the lake next to my apartment. They have been sweethearts for three years. New Ducklings less than a week old...the mother duck seems very proud of her little ones. There were 17 ducklings born on February 10, 2003. 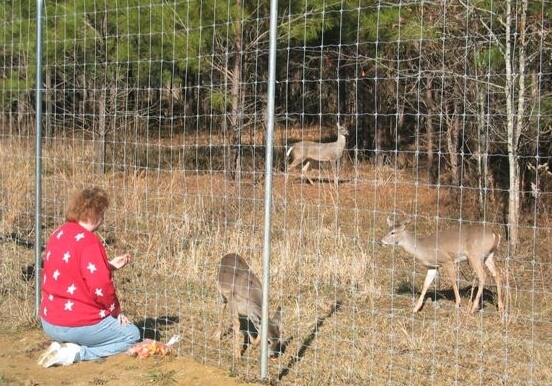 "Beautiful Deer"...Lynn Robertson enjoys feeding the beautiful deer.